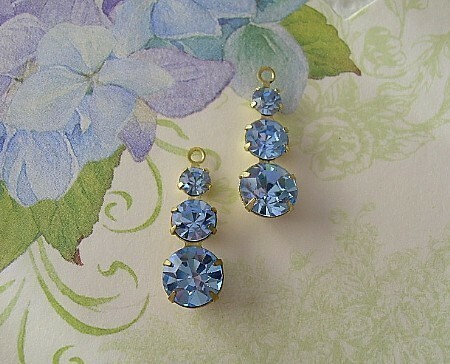 Pair of Vintage Swarovski Rhinestone Connector Drops in a spectacular shade of Lt. Saphire Blue! Beautifully cut crystal stones, in graduated sizes, are prong-set in raw brass. You will absolutely LOVE the sparkle.